It’s often said that a key facet of healthy relationships is open, honest, and clear communication. Perhaps less emphasised is that this applies to familial relationships as well as romantic ones. Eight years after his debut feature film, Medicine for Melancholy, Barry Jenkins has made a movie of overwhelming brilliance with his sophomore effort, Moonlight. Adapted from an unproduced play from Tarell Alvin McCraney, the story takes place in three sections over a 20 year period, focusing on Chiron – played by Alex R. Hibbert, Ashton Sanders, and Trevante Rhodes respectively – a troubled resident of Miami’s Liberty Square projects (where both Jenkins and McCraney grew up). 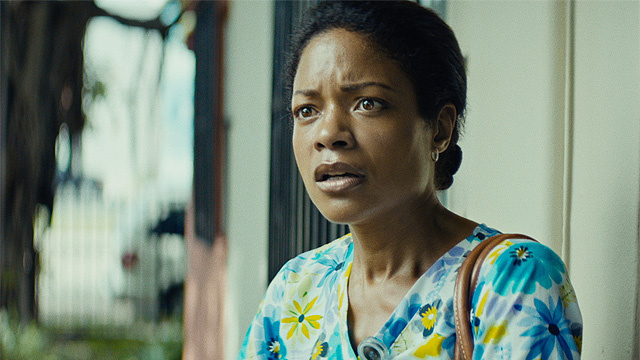 The genesis of Chiron’s plight stems from the fractured relationship he has with his mother, Paula (Naomie Harris). Paula is in the clutch of drug addiction, and she is unable to provide him with a healthy upbringing. It’s the concomitant absence of communication in their home that sets the foundation for the rest of Chiron’s life. Chiron is a character that should come with a “Fragile: Handle With Care” sign, while Paula is like a wool jumper with a loose thread that’s being pulled and pulled, unravelling gradually, then suddenly. But it would do Moonlight a disservice to simply recount the narrative. Angelica Jade Bastien pointed out; “It’s a film more interested in emotion and mood than plot.” McCraney described his original manuscript (called In Moonlight Black Boys Look Blue) as writing a tableaux of moments, poured onto the page. Its focus is on exploring themes; the main one being characters locked inside prisons of socialised oppression. These characters only know one way in which to respond. Locked inside addiction and self-loathing? Respond with violence. Locked inside patriarchy? Respond with violence. Locked inside homophobia? Respond with violence. One of the worst aspects of personal trauma is that it can suffocate the synapses that allow us to express ourselves with any clarity, making pain continuous. In concert with his cinematographer, James Laxton, Jenkins’ camera at times has an agitated feel to it, representing the turmoil broiling inside Chiron. Visually, this may be the best looking film about the black working-class I’ve ever seen; its lighting is gorgeous, with primary colours as its baseline, ranging between iridescent and dreamlike. From an oracular perspective, this film pops. Jenkins spoke of wanting to bring the art-house to the hood, and he imbues Moonlight with a lush texture. Will Stephenson said it “…sometimes unfolds like an episode of The Wire as reimagined by the French filmmaker Claire Denis”. 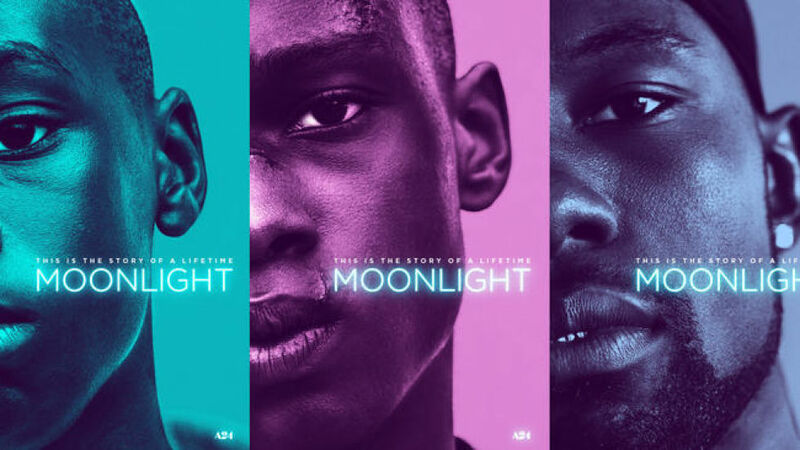 A simplistic audit could accuse Moonlight of leaning on reductive stereotypes. But closer inspection will discern that Jenkins knows how to avoid pathologising black existence in America. Anyone who’s ever been to a rave that has UV lights hanging from the ceiling will know that it allows one to spot the dust and fluff on people’s clothing you wouldn’t be able to see otherwise. Jenkins has taken the hood and put it under the most searching UV light, where we can see every wrinkle of life beyond pre-conceived assumptions. He is an auteur who comprehends the reasoning behind states of being. And he knows this specific ecosystem because it’s the ecosystem that produced him. Examples of this come in the first chapter, where we see the coltish games young boys like to play (I found it impossible to watch these scenes without thinking of Tamir Rice). Food has a significant part in the story, and I’d love to see a foodie deconstruct it through a culinary prism. In addition to food, the use of water also gives Moonlight an elemental power. It’s not often that one can make a case for about eight separate actors as the star performance in a film, and while much attention has been given to Mahershala Ali’s turn as Juan – which will hopefully result in a much deserved Oscar – I want to highlight Trevante Rhodes. He plays Chiron in the final chapter, and it’s this 25 minute spell that takes what was a very good film, and elevates it into an all-time one. On the surface, Chiron appears a changed man, yet inwardly he remains the same. The bank of muscles stitched onto his once wiry frame aren’t for reasons of vanity, but the equivalent of a medieval king fortifying his castle to keep people out. The adult Chiron is standing up against a door, trying to keep a phalanx of disquiet and upset from bursting through. This is demonstrated when he is reunited with Kevin, his teenage crush. Chiron is so choked with nostalgia, he can barely form words. Have you ever blown up a balloon, and kept going, just to see how far you can keep inflating it until it pops? That’s Chiron’s psyche. It’s a performance that stands alongside characters who say little, but leave an indelible impression (Ryan Gosling in Drive; Javier Bardem in No Country For Old Men). It can’t be understated how difficult that is to pull off. Rhodes is an actor of stupefying presence and charisma. He is a star and needs the film industry to recognise it. We’ll all be worse off if they don’t – and I hope to every deity there is that he’s not wasted playing antagonists for the rest of his career. As a quick aside, I also have to pose the following question: Is it easier for us to sympathise with Chiron given that his queer identity comes in the form of a masculine presenting man? Would a femme presenting and/or more flamboyant character be a turn off? For clarity’s sake, it would be unfair to expect Jenkins to depict the heterogeneity of queerness in one person, it’s more a comment on audience members. Caring about this character doesn’t absolve us of learned homophobia. The film is also a salutary lesson that you don’t need to make something generic and exercise moderation in the narrative to have broad appeal. Moonlight is universal because it renders its surroundings with such specificity. Everything about it is incredibly assiduous and precise. Harris said that it’s a film that gets under your skin. I first saw it in October. It’s remained under my skin ever since. Despite being a case study in trauma, Moonlight is not a bleak film. It depicts pain, but also the seraphic promise of healing. That ensures it’s a tale of grace, instead of misery. And when you learn how the film came to be, it may also have been creative salvation for Jenkins and McCraney. – It should be noted that due to her commitments in promoting Spectre, Harris had only three days to film all her scenes. – And given that the Liberty Square projects are set to be knocked down (and redeveloped), Moonlight is also a time-capsule of the location. – It’s telling that Rhodes himself has admitted that he felt he needed to subscribe to a simplistic idea of male strength. I saw Moonlight and I agree with you – I was raving about Trevante Rhodes afterwards. The way he was able to convey emotion and longing in his body language, whilst saying very little, was really impressive. It remained me of Michael Fassbender in the last 20-30 minutes of Shame, he was that good. I was really surprised all the focus before I saw it was on Mahershala Ali (who was really good in it) but very little about Rhodes. One friend who I saw the film with said it was Ashton Sanders’ performance that stuck with her the most, and I can’t argue with that. Film critic, Tim Robey also said he would have liked to see the film get more Oscar nominations in the supporting actor categories, and like I said, it’s one of those films where you could highlight about 7 or 8 different performances, depending on what resonated with you. 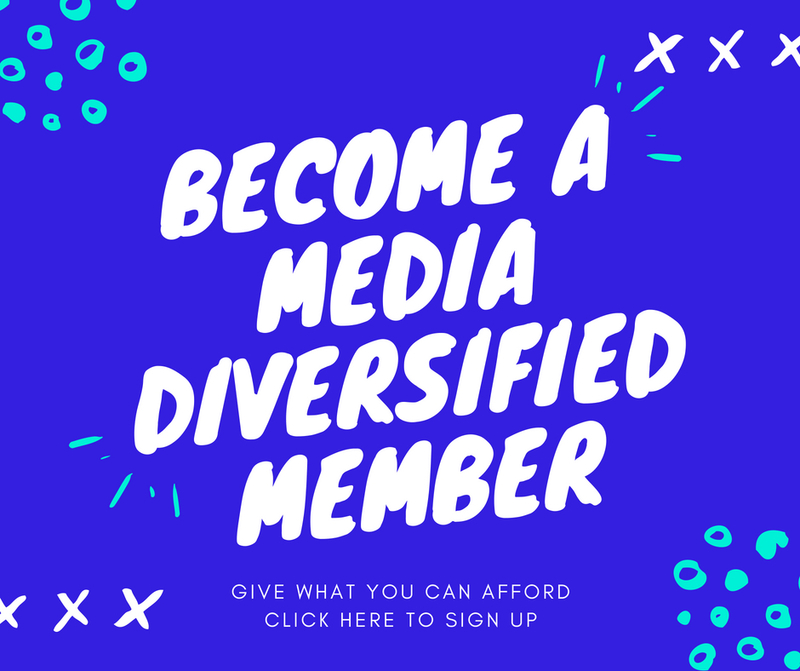 I think it largely depends on what you bring to the film as an audience member, and what your individual sensibilities are. The ‘Shame’ comparison is a good one, as Fassbender may never give a better performance. Had it not been for his past with violence against women, that performance would be near the top of anyone’s “inexplicable Oscar snubs” list.